My name is Brittney and I am the administrator at Faerytales & Nightmares! We are an alternative universe roleplay which encourages members of every roleplay experience to explore aspects of the Winx Club universe as they have never done before. It is here that a variety of characters can take shape including that of royalty, students, professors, and civilians! If you are interested in this website or would simply like to stop by, feel free to do so and pop into our chatbox. I am on most times of the day and when I am not, our friendly members are always willing to chat. 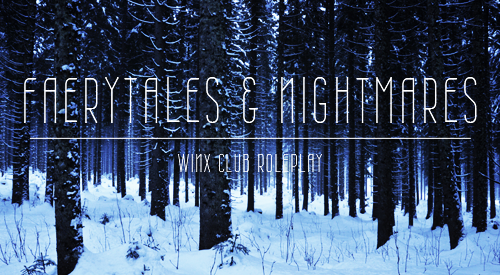 You can visit our main website at Faerytales & Nightmares or stop by our Tumblr!